Is the 'Bank of Mum and Dad' set to go overdrawn? The continued rise in house prices has had a major impact on family finances. Understandably, children want to leave the family home, live their own lives and inhabit their own space. They start looking into the cost of making the move to a home of their own and then find that they can’t make the house purchase price affordable without considerable financial help from their parents. With many young people in their 20s and 30s already paying off student loans, and wage rises having been thin on the ground for the last few years, saving sufficient money for a deposit can seem like an uphill struggle. No wonder then that ‘The Bank of Mum and Dad’ is on track to lend over £5bn in 20161. 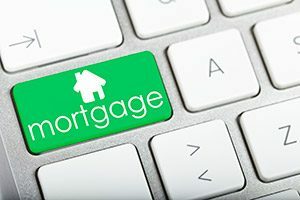 This means that it will notionally figure in the top ten of UK mortgage lenders. It’s estimated that around one in four mortgages is now assisted by parental contribution, with the amount needed being on average £17,500 or around 7% of the average property price. The 300,000 mortgages that parents will have helped bring into being will amount to £77bn worth of housing purchases. Whilst all families want to help their children as much as they possibly can, some economists fear for the future on several counts. Heavy reliance on ‘The Bank of Mum and Dad’ risks creating housing inequality and means that those without wealthy parents may end up renting for years to come. Secondly, generous parents who may have several children they want to help could be prejudicing their own future financial security and could find themselves running out of cash in their later years. With life expectancy continuing to rise, parents retiring today can expect to spend more years in retirement than their forebears. The number of Britons over the age of 90 has almost tripled since the early 1980s. This means a growing likelihood of needing to fund home support or residential care in later years; it’s not uncommon to be quoted a figure of £1,000 a week by care homes across the country. Taking financial advice can help parents balance their own needs with those of their children, and help prevent them from jeopardising their future financial security. It’s also important to realise that helping financially has tax implications; giving money away in the wrong way or at the wrong time can result in children or grandchildren being faced with a considerable tax bill. Careful planning and full utilisation of the various allowances can help ensure that Inheritance Tax is kept to a minimum. If you’re making plans to help your children and would like some advice, then please get in touch.